I can finally cross this project off my list of good intentions! The original idea came from my daughter Jana’s first grade teacher, Mrs. Benson, but she used white frosting tubs. Each week they highlighted a letter of the alphabet and the kids brought items for the jar. I loved the idea of having see-through jars, but if you have toddlers and glass isn’t an enticing idea for a manipulative, you might choose the plastic alternative. 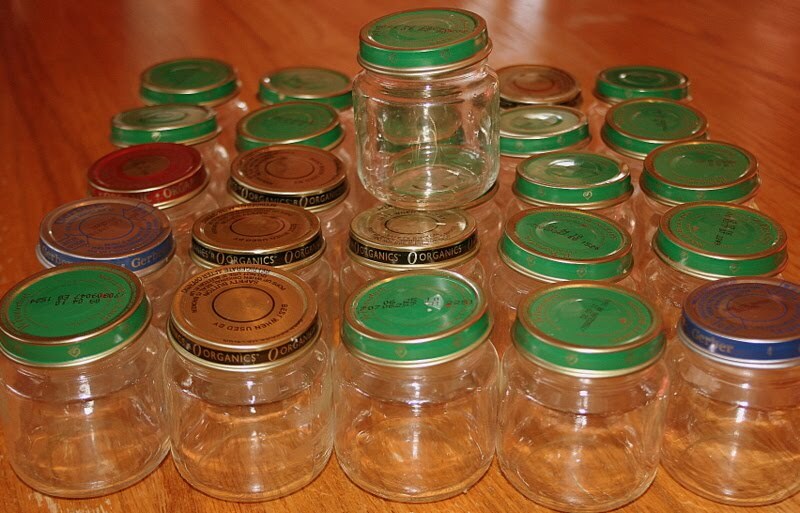 I started with 26 baby food jars. Thanks, cutest granddaughter, Brookie! I bought a can of gray spray paint ($3) and alphabet stickers ($5). I can’t believe how expensive stickers are! You could choose a cheaper option, but I loved that they were puffy, plasticy and bright. 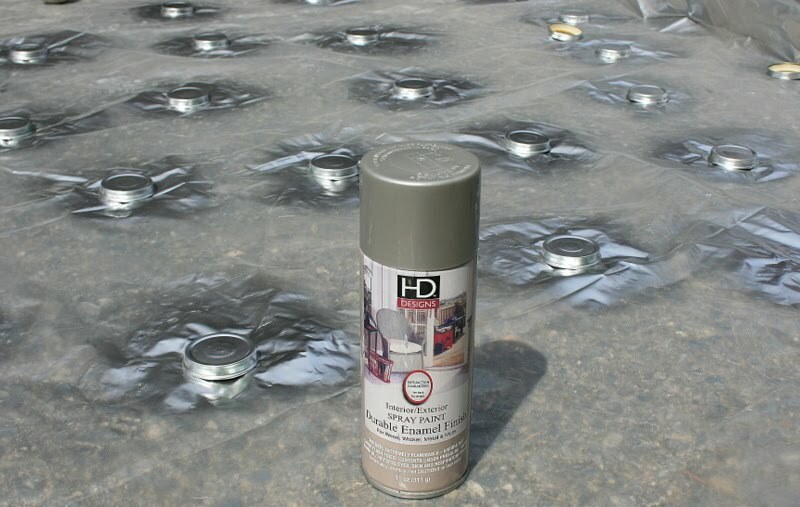 I spray-painted the lids outside on a sheet of plastic. One coat covered the colored caps well. It dried in four hours. and uppercase stickers to the jars. with little items that begin with the letter on the jar. monopoly movers, and scrabble letters. 1. 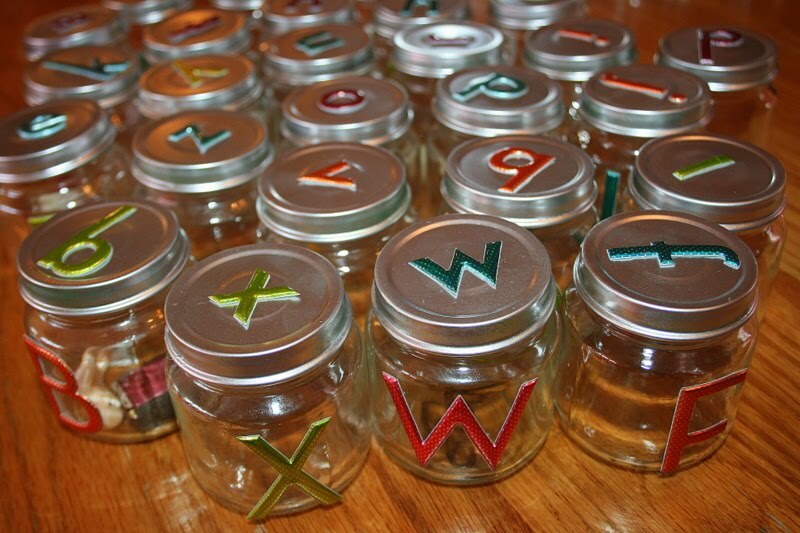 Match the upper-case letters on the jars to the lower-case letters on the lids. 2. Cut out alphabets words from magazines to put into each jar. 3. Cut out pictures from magazines to put into each jar. You could choose a theme like animals or food. 4. 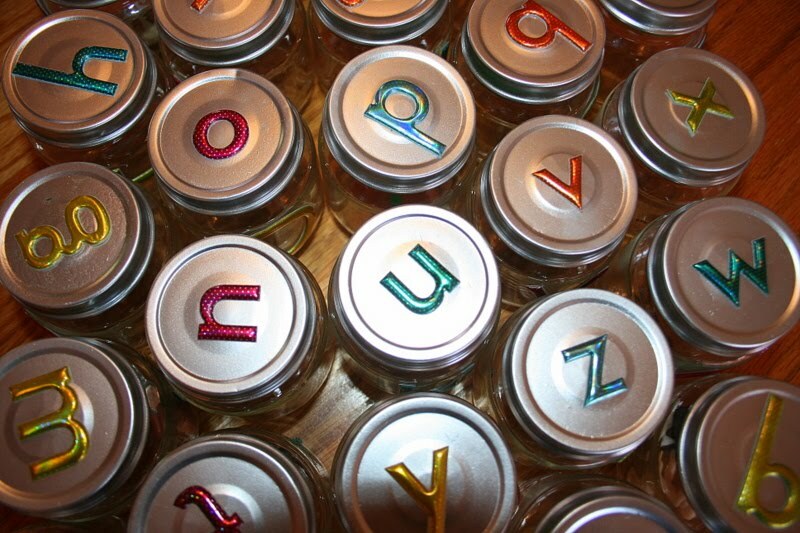 Use the jar lids to spell simple words. a. Give them an ending like “in”, “at” or “it” and choose the beginning consonants that form words. b. Give them the beginning and ending consonant of a three letter word and have them fill in the correct vowel. c. Give them a beginning sound like “ba“, “pi”, “bi” and have them choose a final consonant to form a word. 5. 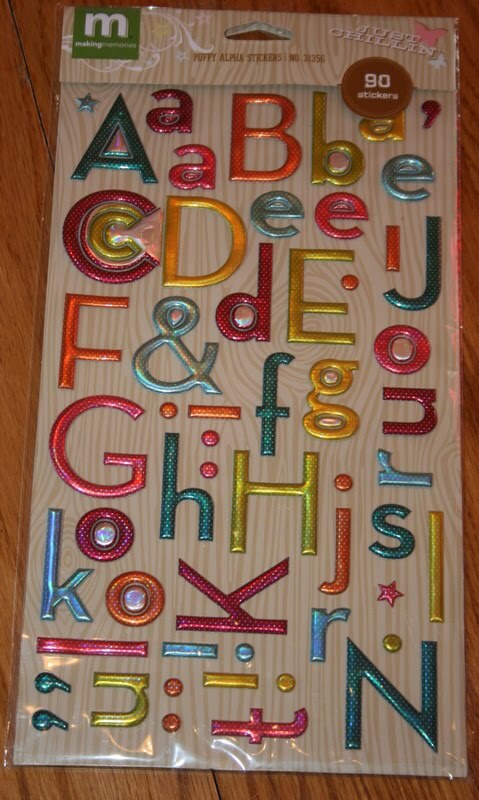 Choose a letter and have your child choose the letter that comes after. 6. Choose a letter and have your child choose the letter that comes before. 7. Choose two letters and have your child choose the letter that comes in between. Anybody have any good ideas on what to put the jars in? Any other ideas for uses of the alphabet jars? I’d love to have your input on this project! This entry was posted in home schooling first grade, phonic manipulatives, teaching ABC's on August 23, 2009 by Mindy. We are so going to do this! Thank you for the idea. The study we're doing has one letter per unit, so this will fit perfectly, and be fun (plus yours looks nice!). Thanks! I think I'll try it too. I have about a year to collect everything! Kimmie,Thanks for dropping by. So glad you are enjoying the ideas. Sounds like me, I never could stand throwing away a baby food jar. They are just too cute. Let me know if you think of any other ideas to use them for. My daughter, Lord-willing, will keep supplying me with grandbabies and baby food jars!Blessings to you all. Thanks for stopping by my site. We did alphabet drawers. You can see them here:http://theadventuresofbear.blogspot.com/2009/09/alphabet-boxes.htmlI like the idea of the jars as an alternative and yours look so pretty. those are very cute, and I like the stickers you found. 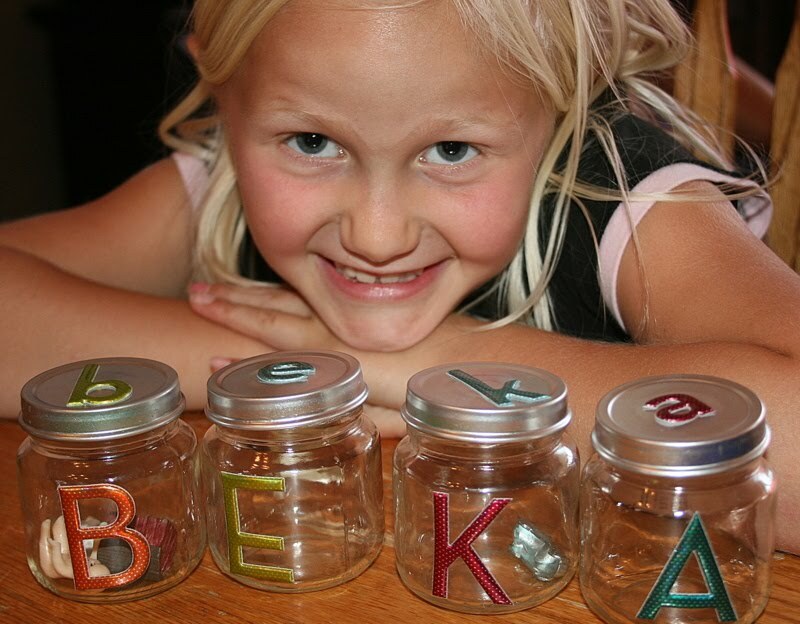 I was going to make an alphabet box, but these jars are a great option, too. Yours are so pretty!